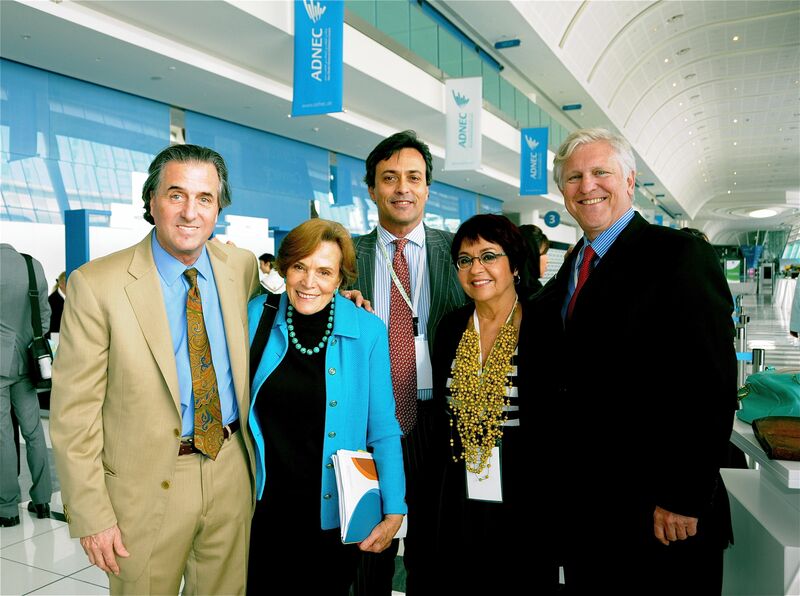 The Earth Council Alliance joined global leaders in the sustainability movement at the Eye on Earth Summit in December 2011. Eye on Earth addresses the crucial importance of environmental and societal information and networking to decision-making. It aims to convene thought & action leaders of the worldwide community, converge consensus on the key areas of mutual importance, and finally collaboratetowards strengthening existing initiatives and filling the gaps into the future. Keynote speakers of Eye on Earth 2011 included President Bill Clinton, H.E. Dr Rashid Ahmed Bin Fahd, UAE Minister of Environment and Water, Dr Jane Goodall, JGI and Sha Zu Kang, Under-Secretary General, DESA. The Eye on Earth Declaration was endorsed by acclamation by all 16 participating governments including, on behalf of the United Arab Emirates H.E Dr. Rashid Ahmed Mohammed Bin Fahad, Minister of Environment and Water and H.E. Razan Khalifa Al Mubarak, Secretary General, Environment Agency – Abu Dhabi. 8 special initiatives were announced on the final day of the summit representing the most critical issues relative to the availability of timely, accurate and accessible environmental and societal data by all those who need it.